MakeMyWill Solicitors is delighted to participate in Best Will Week 2016. This is a great annual event from www.mylegacy.ie which helps promote leaving a gift to charity in one’s Will after loved ones have been looked after. 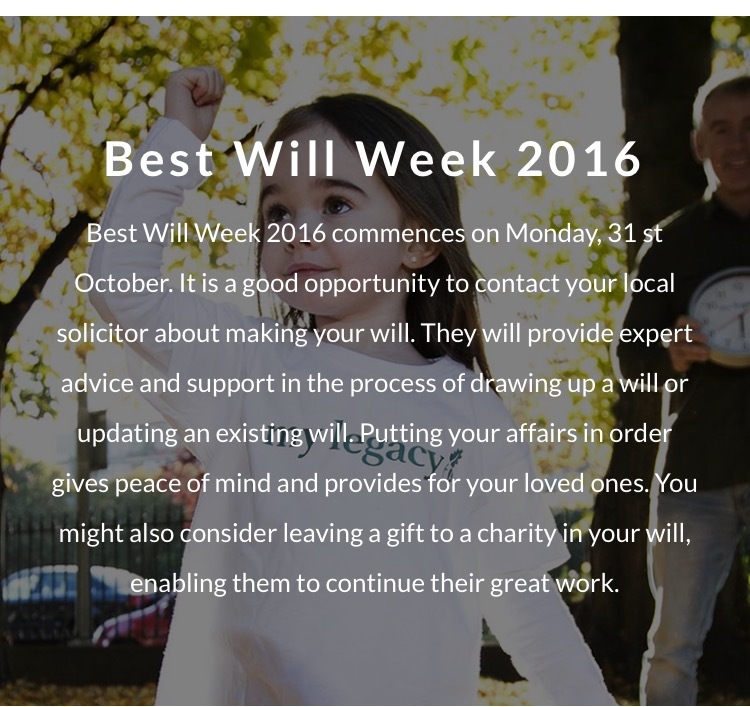 Nearly 70 charities are involved with Best Will Week, and over 500 solicitors across the country. We promote the importance of making a Will. It may surprise you to read that nearly three-quarters of Irish adults don’t have a Will in place. I have had many years experience with Wills and Probate and I’ve seen first hand the upset and the problems that can be caused when someone passes away without a Will. 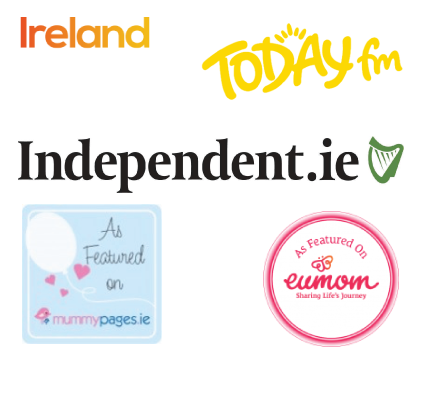 It is such an important document and is so easy to make, especially through www.makemywill.ie who provide a hassle-free professional service for you. After you have made sure your family are looked after, we would ask that you consider leaving a gift to charity, however big or small. Charities rely on donations, and a charitable legacy left in a Will can be a huge benefit to keep these organisations running properly to help those that depend on them. During Best Will Week 2016, we are offering to donate €30.00 of our fee (or €40.00 for couples) to a charity of your choice for any new instructions taken if you quote the code BWW2016. Offer ends Sunday 6th November, 2016. Please get in touch today.